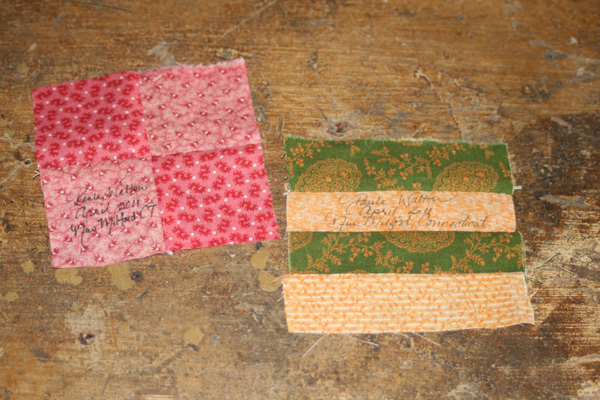 A few years ago I ran a Civil War era friendship quilt block exchange amongst a far flung group of friends. We had a lot of fun shopping for fabrics, choosing block patterns and trading our finished blocks. This is my quilt from that friendship block exchange. This photo is before I added the borders to the top. Now whenever we look at our finished quilts we remember the good time we had creating them, and think of all of the people that came together to make each of our quilts. This is the top with the borders on. One of the blocks in my quilt. 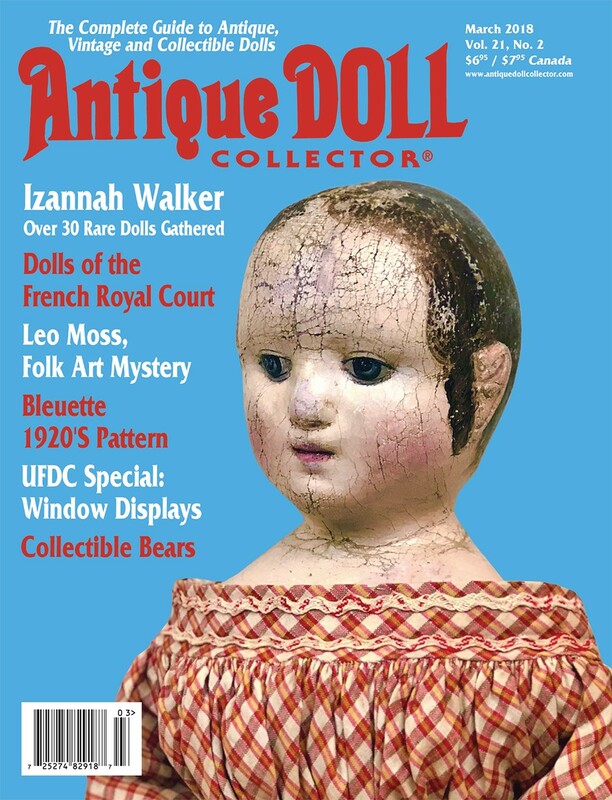 When I was thinking up ways to celebrate my 25th anniversary in business, it occurred to me that an Izannah Walker doll sized friendship block exchange would be a great activity to mark the occasion and share something special with all of the people that make me love doing what I do. 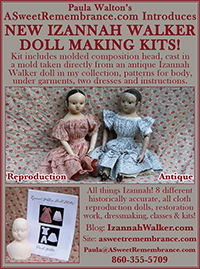 This is the quilt that came with one of my antique Izannah Walker dolls. 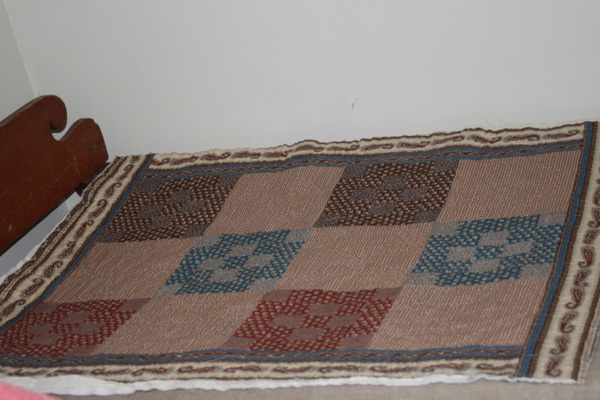 This is the reverse side of the same quilt. 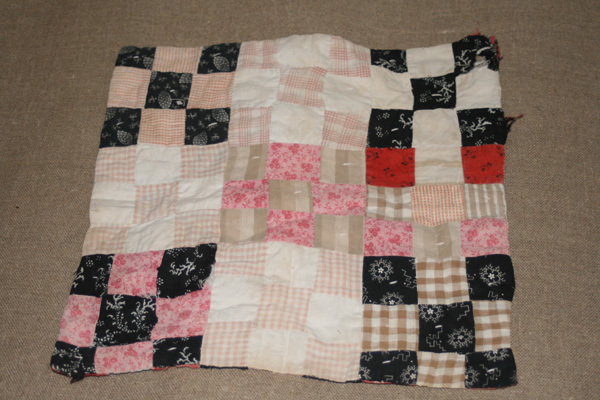 It is pieced on both sides and tied rather than quilted. 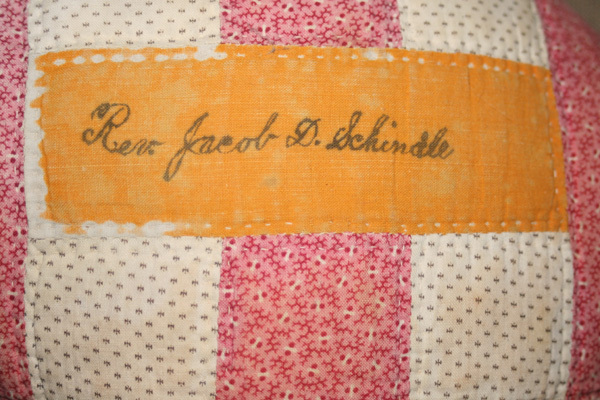 Friendship quilts were all the rage in the 1840’s. They were an outgrowth of the practice, in earlier decades of the 19th century, of keeping albums containing the signatures of friends and relatives. 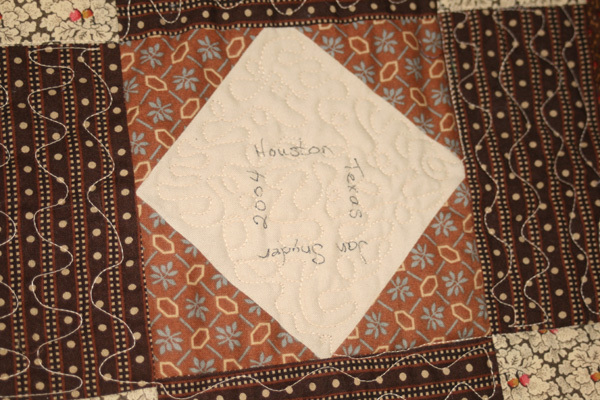 The signatures on the quilt blocks were a remembrance of the individuals who signed, and often made, the blocks. 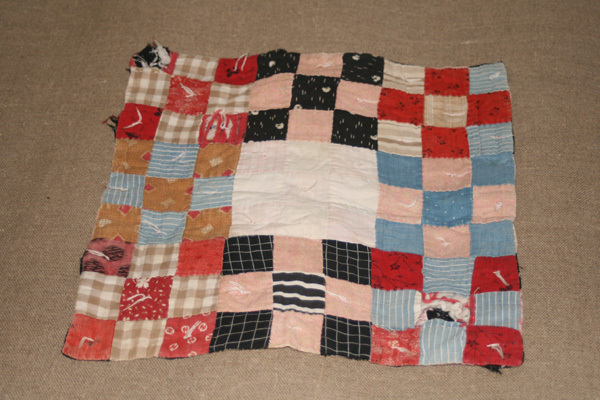 Friendship quilts were most frequently made for people who were moving away from their communities, or to mark important occasions such as weddings and births. So pull out your scrap bags, thread your needles and help me commemorate my own important occasion by joining in my friendship quilt block exchange. 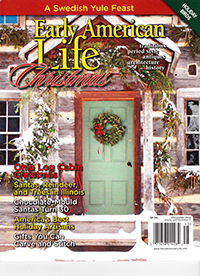 Even if you have never quilted before, I think you will find this to be an enjoyable, easy project. If you don’t want to quilt your finished coverlet, you can hand tie it instead. I’m sure your Izannah will love it either way. 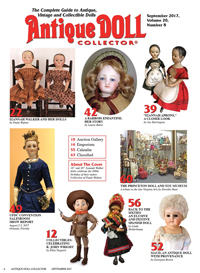 If you can manage to sneak the quilt away from your doll, it would also look wonderful hanging on your wall. 1. 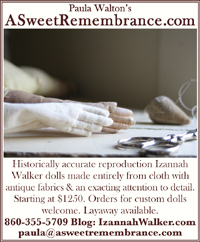 All fabrics should be roughly Civil War era material, either reproduction or the real thing (if you are lucky enough to have antique fabric in your stash). That way the quilts will be just right to keep your Izzys warm at night. Please make sure all of your fabrics are pre-washed, so that they will not shrink if they are washed after the quilt is made. 2. We are exchanging 3 inch blocks, that means that the finished size of the blocks, when pieced together to form a quilt are 3 inches square. The blocks that you send in should measure 3- ½ x 3 – ½ inches, which includes a ¼ inch seam allowance all around the block. Please make sure your measurements are exact. It is unbelievably frustrating to try and piece together quilt blocks that are all slightly different sizes. 4. Use a Micron Pigma #08 black pen and your best handwriting to write your name, the date and the city you live in on the front side of each of the blocks you send in to the exchange. 5. You may send in as many blocks as you wish and will receive the same number of blocks in exchange. 6. Please send a self addressed postage paid return envelope in with your blocks. Include a note with your name, mailing address, email address and the number of blocks you are sending in the envelope. Make sure that the return postage is enough to cover the cost of mailing your blocks back to you. 7. All blocks sent in to the exchange must be post marked no later than July 1, 2011 (please mail your blocks earlier than 7/1/11 if you live outside of the United States). 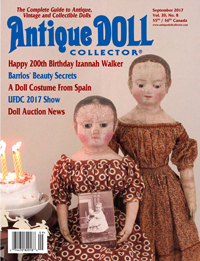 You will receive all of your exchanged friendship blocks back in time to stitch together a wonderful doll size quilt before fall. Did you know that in days past, most quilting was done in the warmer months to take advantage of the additional hours of sunlight to sew by? 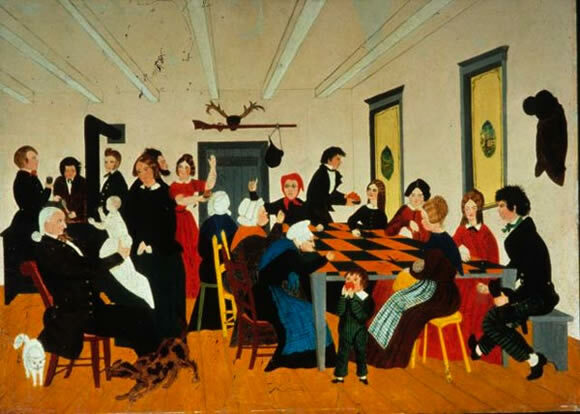 The majority of the quilting in New England was done from May – November, with May and October being the busiest quilting months. 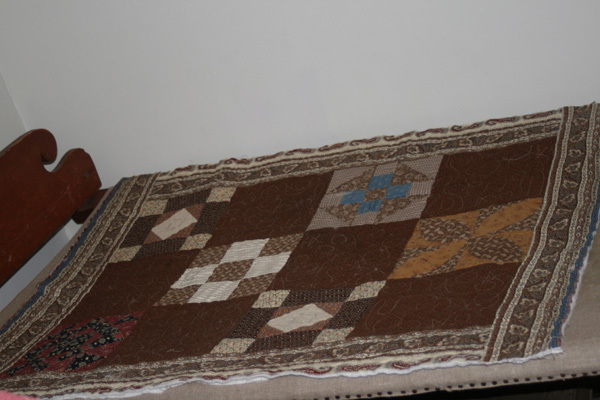 If you email me photos of your finished quilts I will post them here for everyone to ohhh and ahhh over. 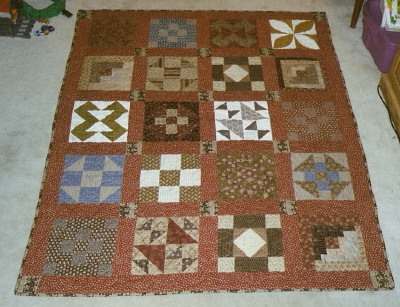 Here are a few more photos from my previous full size Civil War Block Exchange. 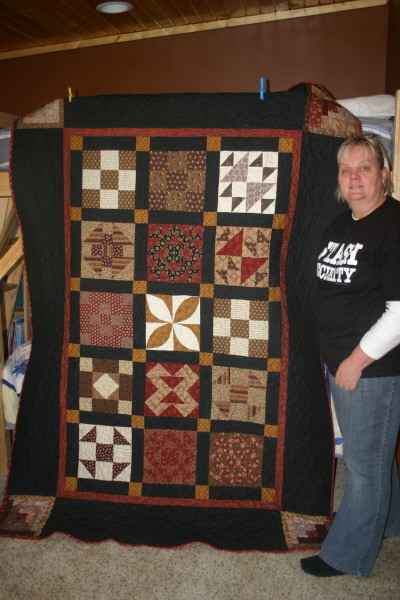 Gail and her finished Civil War friendship quilt. Isn't it gorgeous? 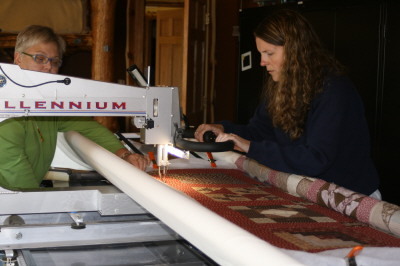 My sister Marisa quilting her Civil War quilt as Jan looks on and gives tips. Marisa's finished Civil War friendship quilt. 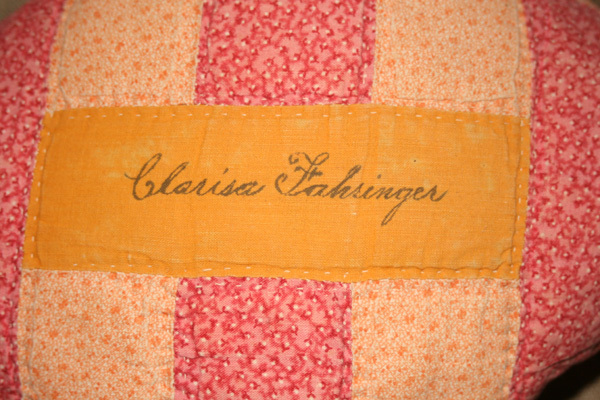 One side of my small Civil War Friendship quilt. The reverse side of my small friendship quilt. 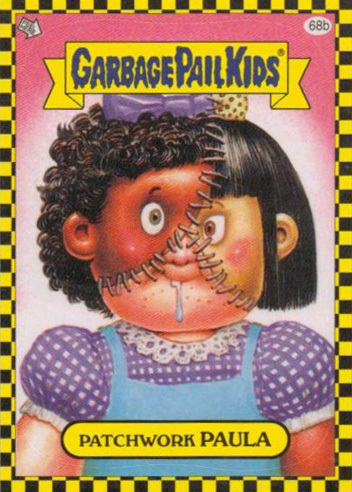 Hi Paula, thanks for the reminder of the Doll Size Friendship Quilt. I’m sewing up a bunch this evening and will ship them out before the first of July. 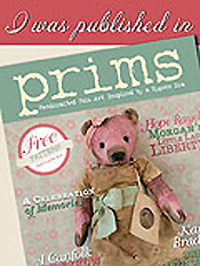 I used to work at a quilt shop here in Vermont and they carried lots of Civil War Reproduction Fabrics. We were allowed a discount on what we purchased in the shop. Don’t you think I didn’t buy fabric for my stash every payday. 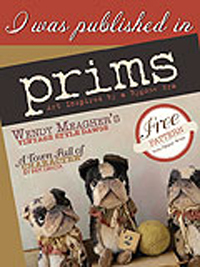 This job was my fun job as we got to sew on beautiful quilts all the time. Happy 25th Anniversary to your business. Mary Goddard. Excellent! I think that it going to be fun to see what everyone makes.